That’s it! The promo code you have entered will be applied to your account, so go ahead! Now you can request a trip and enjoy your ride! Where I can check my promo code details? 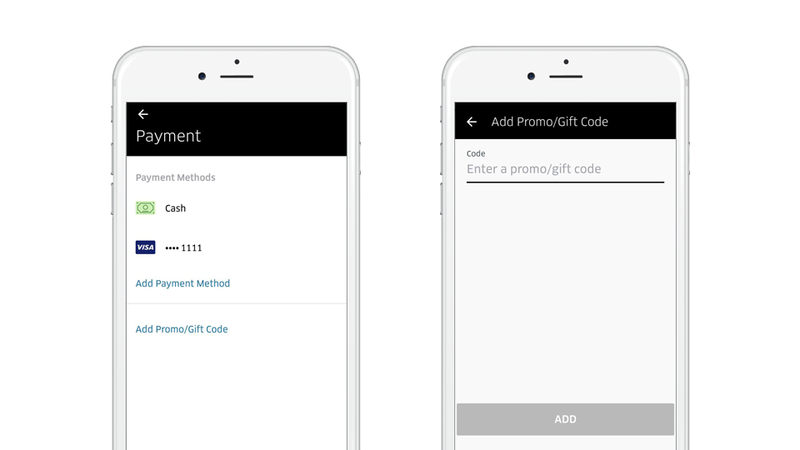 To see your active promo codes click to the Menu, “Payments“ and then Promotions”. You will see all the active promotional codes, the expiry date, the number of rides that you have discount for and the country in which you can benefit of this discount. What is expiry date for a promo code? Every promo code has an expiry date. After expired it cannot be applied to your trips and it will automatically disappear from your account. What if I have multi-trip promo code? If you have a promo code that offers a discount for more than 1 Uber trip, it will be automatically applied for multiple trips after you add it. For example, if you have 25% off for 3 trips and if you take a first trip at cost 80 UAH, then your discount will apply and you will pay 60 UAH. The other 2 remaining 25% off will be automatically applied to your next 2 trips. What is the difference between credits & promo codes? For some specific cases you can receive credits (virtual amount on your Uber balance) after contacting Support Team.To check your credits balance, select “Payment” from your app menu. Then tap Uber Credits. Your credit amount is displayed in the currency the credit was issued in and cannot be transferred from one currency into another. What if I have a promo code but I don’t have an Uber account? You can create an Uber account in few quick steps: download Uber app from App Store or Google Play, add your mobile number, email & name, choose a password – that is all! All you have to do now is to insert your credit card in the application and you can start travelling. For more information on how to apply a promo code, please visit our Help Center.